What do you need or want to know? That my new Signature needles (3.75mm) arrived this morning and that I am counteracting the day’s frustrations by christening them? 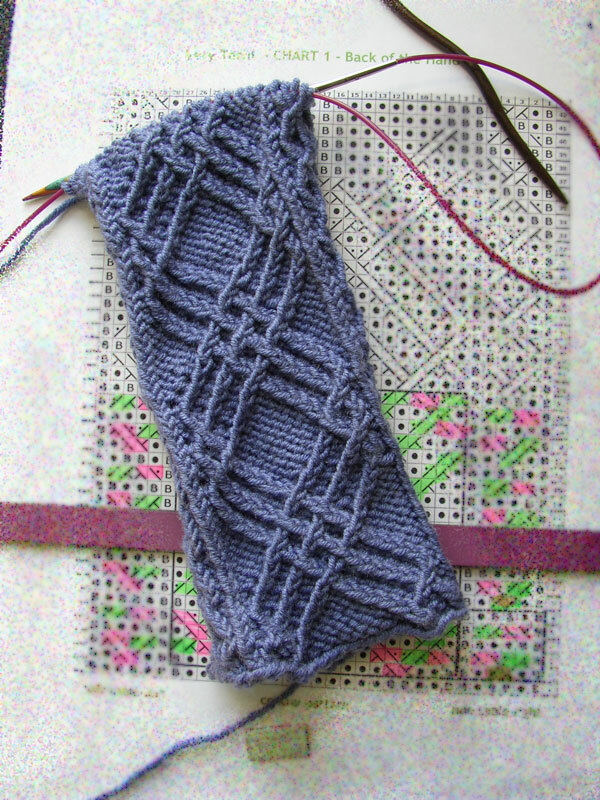 A Lead or Follow scarf has been cast on. I shouldn’t be starting new projects, but Lead or Follow has me easily led… Not that it itself hasn’t added to today’s frustration levels. I bought the pattern quite some time ago, and have in fact aborted one start on it already. The pattern came in a proprietary format, requiring the installation of special (and very crappy) software. Galling. Of course I have a new machine since I bought the pattern and had to jump through several hoops in order to identify the required software and install it. I did contact the designer first in the hope that, being a paid up customer, she might be able to supply me with the PDF file that is currently being sold. No joy – just the suggestion that I purchase another copy. The response has me mystified. Let us just note that better pattern support has been obtained elsewhere – and leave it at that. Anything else that you would care to read today? Want to take a peek at the Very Terhi mitts? 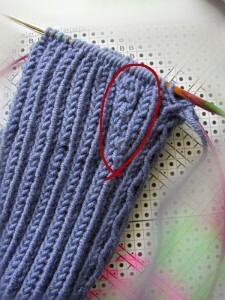 They are knitting up really quickly and are far easier to knit than a first glance at the chart might suggest. Not that I am finding the actual pattern instructions very easy to get to grips with – as I already know from previous experience, Yarnissima can confuse me like no other designer can. Nearly invisible? No, quite clearly visible! My increases are no such thing. A trawl of Ravelry projects tells me that the solution is to be found in Knitting without Tears: Basic Techniques and Easy-to-Follow Directions for Garments to Fit All Sizes by Elizabeth Zimmerman. I shall hunt out my copy.